View a full list of the Muslim Ban protests that are happening in major U.S. cities today. In response to Trump's executive order banning immigrants from seven Muslim-majority countries from entering the U.S. and news of refugees being detained at airports, protestors gathered at John F. Kennedy airport on January 28 to protest the detainment and Trump's "Muslim ban." People also gathered in airports and spaces in major cities across the U.S. in order to fight the ban. On Saturday evening, the Federal Court for the Eastern District of New York issued a temporary stay halting President Trump’s executive order. Today, protesters continue to gather in hopes that the executive order will be overturned. 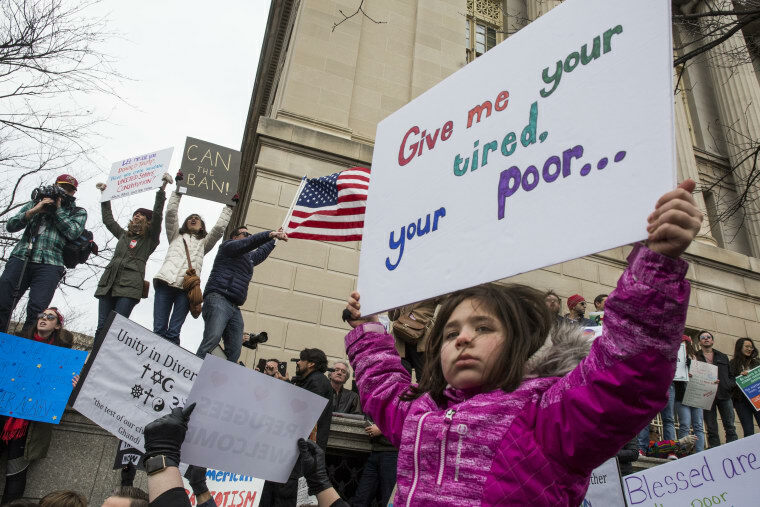 Protests have been planned in New York City, Washington D.C., San Francisco, and many more major U.S. cities for people to march and rally in opposition to the Muslim and refugee ban. Many of the protesters are tweeting their opposition to the order with the hashtag #NoBanNoWall. View the list of protests below.